There’s something to be said about going to Vine Street Pub in Denver in February (perhaps multiple times). It is Stout Month, after all, where nearly everyday a new Stout beer is unveiled to quench the thirst of Denverites who oh-so-love their beer. And, a well-known fact that anyone who has gone to Vine Street even once can attest to is that it is a mecca for encountering handsome bearded men. Thus, we weren’t surprised–but were definitely delighted–to meet Andy and Mike (L-R) on Monday. Mike and Andy have known each other for several years, as they are both musicians and liked each other’s music, which lead to them playing in bands together in Denver. Mike, who is originally from St. Louis but currently calls Littleton home, has a reason for donning a shorter beard these days; he’s currently undergoing chemotheraphy to treat Hodgkin’s Lymphoma, which he was diagnosed with only a few months ago. He told us earlier in the day he had cut off his long hair and donated it to Locks of Love, but his beard is holding on, depsptie the chemo (normally around the 18th chemo treatment most people lose their hair; Mike’s and his beard are at around 25 treatments now). 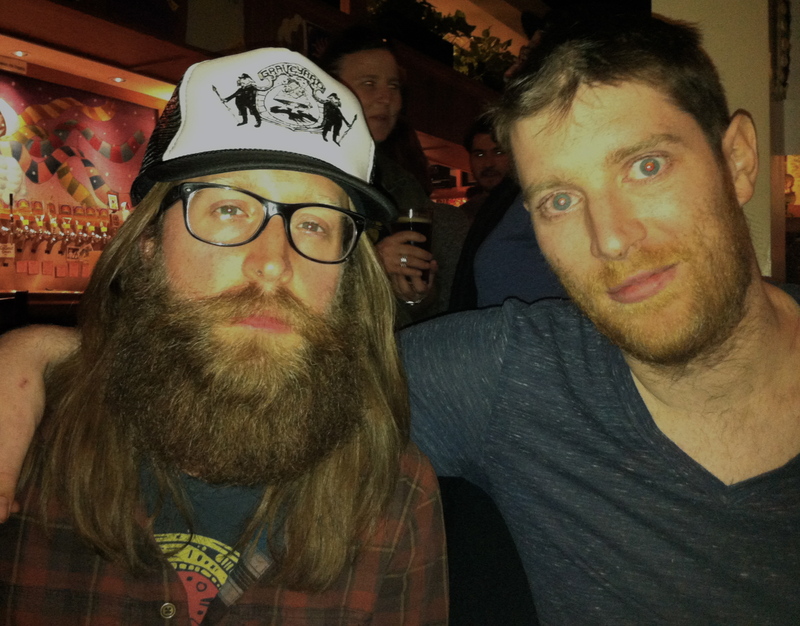 Mike is very proud of his beard’s stamina, and rightfully so; he really, really wants his beard to keep on keepin’ on.